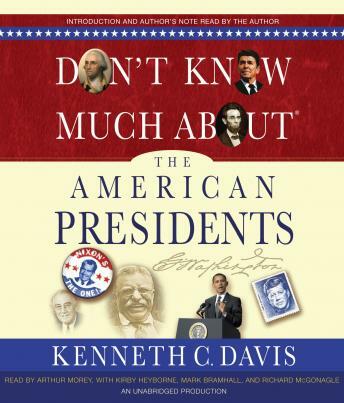 For more than twenty years since his New York Times bestseller Don’t Know Much About® History first appeared, Davis has shown that Americans don’t hate history, just the dull version dished out in school. Now Davis turns his attention to what is arguably the most important and most fascinating subject in American history: our presidents. From the heated debates over executive powers through the curious election of George Washington in 1789 and, for more than 200 years, up through the meteoric rise of Barack Obama, the presidency has been at the heart of American history. From the low lights to the bright lights, from the intellectuals to the disasters, from the memorable to the forgettable and forgotten, Davis tells all the stories. He uses his entertaining question-and-answer style to chart the history of the presidency itself as well as debunk the myths of America’s leaders and recount the real stories of these very real people. For history buffs and history-phobes alike, this entertaining audiobook is packed with memorable facts that will change your understanding of the highest office in the land and the men who have occupied it.